When reviewing the Liberal Democrat record in the Ministry of Justice (MoJ) during the Coalition, it is easy to castigate our party over the Legal Aid, Sentencing and Punishment of Offenders Act 2012 and miss out evaluating other events. Our role during the Coalition in the MoJ was limited for two chief reasons. First, our status as the junior party forced Nick Clegg to be strategic in the departments that the Liberal Democrats took a lead in and justice was not one of those. As a result, we were poorly placed to stop some of the worst excesses of illiberal policy that were not legislation-based (which could be blocked in parliament) such as prisoner book bans. This is not to say that we did nothing for justice. Julian Huppert’s campaign against the “Snoopers Charter” was a successful one, though unfortunately reversed after the Coalition. A little discussed remit of the MoJ is prison policy. Prison policy has historically been an issue that has divided politicians between those who advocate a more evidence based, rehabilitative approach and those such as Chris Grayling who advocate a more tough justice approach of harsh conditions. The first of these is prisoner books. As part of his “tough justice” agenda, then Justice Secretary Chris Grayling banned books being brought into prisons. This was done without consulting parliament and was eventually ruled as illegal in 2015. This was a policy that clearly runs counter to the liberal belief in restorative justice and education as a tool for reducing recidivism. Secondly, the reduction in prison officers from 23,000 to 18,000 meant that there were less staff on hand to supervise sporting and other activities, which meant that while the tough justice agenda was intended to reduce reoffending rates, it was undermined in terms of funding and manpower from the beginning. The hallmark of coalition legal policy was the Legal Aid, Sentencing and Punishment of Offenders Act (LASPO), which enabled a deep reduction in legal aid provision. Politically for the Conservatives this was a good move which allowed them to seem tough on crime and criminals, winning plaudits from the tabloid press, whilst being exceptionally poor in terms of policy outcomes. Because of the political convenience of being harsh to criminals there’s a significant amount of political mileage to be won from appearing tough on crime, an issue that hasn’t been a historically strong one for Liberal Democrats. However, this does not justify the very real problems with taking an ideological over a principled and grounded in evidence approach to justice. This was not a hill the Liberal Democrats were willing to die on, but it should have been. While policies like mandatory prison sentences and barbaric prisons are popular and public sympathy with those in prison is virtually nil, these policies work at a disadvantage when it comes to rehabilitation. Cross-country studies of penal systems show that a focus on rehabilitation is what delivers lower recidivism rates, not ‘tough justice’. The reduction in legal aid has led to a number of junior criminal barristers deserting the criminal bar in search of work that is adequately remunerated for their skillset. This has a knock on effect of barristers striking and being overworked meaning that they are less likely to appear in summary trials that take place within the magistrates courts. Consequentially people are more likely to suffer a miscarriage of justice. Court fees are not an inherent evil: one of the four aims of LASPO was to reduce the number of cases going through the courts. If we accept this as a broadly good policy aim, then even by this metric LASPO was still a failure as explained in my article here. One of the core principles of liberalism and the Liberal Democrats as an organisation is set out in our preamble, “no one should be enslaved by poverty, ignorance or conformity”.This wasn’t respected by the court fee reforms that locked lower income people out of seeking legal remedy. In the sense of promoting liberalism and the rule of law the court fee process was an unmitigated failure. However, that was down to poorly implemented policy which can be put down to the lack of Liberal Democrat focus on the MoJ rather than the intent of the policy itself being awful. Court fees could have worked had the Courts and Tribunals Service adopted a progressive model that measured average disposable income instead of having an arbitrary measure that unfairly excludes lower income litigants in the family division. Moving forward, we need to radically rethink our approach to court fees as the MoJ has, in recent years, moved past the basic principles surrounding access to justice that have almost consistently governed policy since their popularisation by A. V. Dicey in 1885. This means that we need to ensure that those who are unable to undertake civil litigation due to financial insecurities are not deterred from seeking restitution. This can be done by placing cost caps on administrative fees for litigation. From my experience working with families who are undertaking action related to the Children Act 1989 regarding child arrangements disputes, the initial administrative costs are a significant deterrent to lower income families in seeking remedy. This is heightened by the lack of legal aid available meaning that litigants in person (self-representing litigants) struggle to gain cost orders for reimbursement of the administrative fees after their case. The third area of the justice purview was civil liberties. Historically a core issue for liberals, with fights against ID cards and 90 day detention a hallmark of pre-Coalition policy, we made great strides in scrapping ID cards when it was the first piece of legislation introduced to the new parliament in May 2010. We were successful in torpedoing the illiberal state overreach of the ‘Snoopers Charter’, with opposition from frontbenchers such as Nick Clegg and backbenchers such as Julian Huppert, it was an issue which we were united on. However we let ourselves down when Liberal Democrat MPs did not successfully block secret courts despite a campaign from all sections of our party. The principle of open justice within the criminal courts requires that a trial is conducted in public, as it limits the potential for abuse of power by the state. Secret Courts have been historically used to subvert fair trials as was seen in the cases Binyam Mohammed and Abdul-Hakim Belhaj. Another great success was in blocking the repeal and replacement of the Human Rights Act with a watered down “Bill of Rights”, a policy commitment that has been included in successive Conservative election manifestos. This was a deeply worrying commitment due to the threat to people’s civil rights such as the ability to hold government to account using judicial review, a process used very effectively by Liberal Democrat Cllr. Paul Kohler to stop the closure of the Wimbledon Police Station. The only way of describing the Liberal Democrat record in Justice during the coalition is as a mixed bag. There were no major policy gains and former Liberal Democrat Justice Minister, Tom McNally, described the cuts as going “too far”. There were substantial defences of civil liberties, but again it was not seen to be a policy priority by the Coalition and openly illiberal policies such as secret courts were passed. Whilst all government departments suffered austerity measures, the Ministry of Justice suffered the greatest cuts due to the political ease of inflicting them. The cuts made were not necessarily the right policy decisions, or carried out in the way that would have preserved access to justice. It is clear that because of a lack of strategic importance put on the MoJ during the Coalition, it became one of the hardest hit by cuts and policy outcomes were therefore damaged. 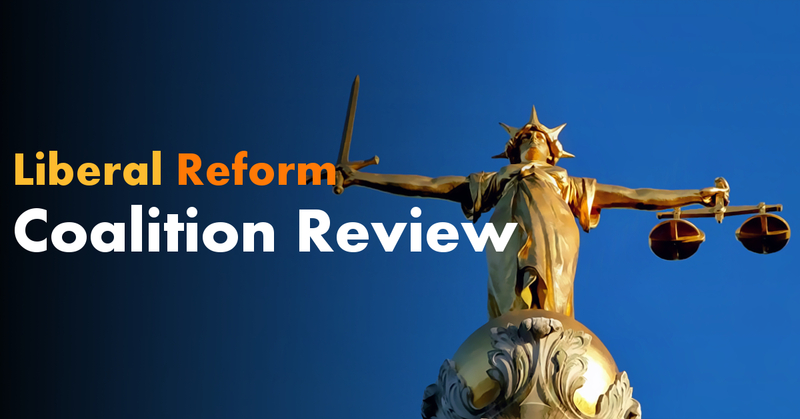 After what is a fairly damning review of Coalition justice policy, the Liberal Democrats must look forward. We must embrace a radical new policy agenda that has access to justice at its heart. We need the complete restoration of legal aid as well as a reform of administrative costs to reduce inability to commence legal action due to financial constraints. Promoting Law Centres and University Law Clinics as a replacement for initial legal advice should also be prioritised. The party should also explore means of promoting more corporate social responsibility in the form of pro-bono activities among larger law firms. In order to be truly progressive, we must be willing to attempt things that have never been attempted before. This could include government funded scholarships for law students who are willing to undertake pro-bono work as part of their studies, and allowing law graduates to offset part of their tuition debt by working as legal professionals in the third sector. With prisons there exists a pressing need to reform the Representation of the People Act 1983 to remove bans on people incarcerated from voting in elections. There is also the crucial need to remove mandatory sentencing laws and use £150 million savings to fund social workers influencing sentencing decisions. It is imperative that we reignite our liberal core when it comes to civil liberties, with this we should be advocating strongly for the Human Rights Act and against state surveillance. We must also stand against secret courts and in defence of open justice.